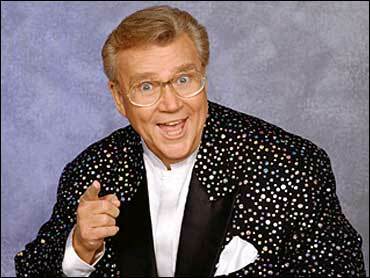 Rod Roddy, the flashy-dressed announcer on "The Price is Right" whose booming, jovial voice invited lucky audience members to "Come on down!" for nearly 20 years, died Monday. He was believed to be 66. Roddy had been ill for more than two years but continued to work as much as possible and for as long as he could, said Bob Barker, host of "The Price is Right." Roddy had been with the game show for 17 years. "We all admired his courage," Barker said last week. "He was always upbeat and hopeful." "Rod was a fine announcer, but beyond that he was a man who had a wonderful sense of humor," Barker told CBS Radio News Producer Tom Ryan. "We all admired his courage. He was always upbeat and hopeful," he said. Roddy's announcing stints included "Love Connection" (1981-85) and "Press Your Luck" (1983-86), but "The Price is Right" earned him his greatest fame. "The Price is Right" remains one of the most television's most popular game shows, and Roddy, with his flamboyant sport coats and booming voice, was a big part of the success. Roddy, whose real name was Robert Ray Roddy, was born Sept. 18, 1937, in Fort Worth, Texas, Pitts said. According to CBS, his birth year was 1936, which would make him 67. "I said, 'I've got a guy who's terrific,"' Pitts said. "Rod started with 'Soap' and then his career took off." Roddy was single. The only family member he talked about his mother, who died several years ago, Pitts said.